I doubt it would be an hour. I would be very surprised if any controller turned 3 buses consecutively! Missing out the first 4 stops is used as a normal curtailment if you're running late. Controller calls up and says 'Can you turn at Woolwich Arsenal Station' same as any other curtailment. You may doubt it but it happened last week. Lots of us waiting at the stop. Slightly less the next night and I showed the LVF to a Go Ahead driver waiting for his next bus. Bus due in 3 minutes in Calderwood Street kept on getting later until it disappeared. Next bus got later and later until it merged with the third bus. This arrived 40 minutes after I got to the stop. I have suggested that the lightly used section from Greenwich to Blackheath Village is cut to remove the traffic delays across Blackheath. The route ran much better before the extension. The peak time running times and school times leave a lot to be desired on that route. The other day just running late constantly and got given a "Show QE and run light to Woolwich". The route could do with a curtailment point somewhere between QE and Woolwich as QE is something like a 50 minute turn, which is a lot if you're only running about 10 late, hence a lot of the time you end up with a Woolwich Arsenal Stn turn or get run light out of Woolwich to Herbert Road, Ha Ha Road, or if heavily delayed light to the Royal Standard, or even Vanbrugh Hill (had that before). As it's a low frequency route, it's either get out in a departure slot or get run light somewhere, so the controllers would often opt to run you light rather than let you run late out of a timeslot as that results in lost QSI bonuses. 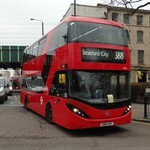 Frequently see two buses in Herbert Road heading for Woolwich. Why don't controllers move passengers from the later bus to the next bus and run light from Ha Ha Road to Woolwich? Presumably because it's less mileage running light the other way. If running light to Woolwich, you need to terminate at QE Hospital as that's the nearest curtailment point, whereas going the other way you can start from either Herbert Road or Ha Ha Road, or if not too late just turn at Woolwich Arsenal Stn, all less mileage. I thought buses were passenger carrying vehicles. It seems Go Ahead couldn't care less about leaving people at busy stops in Woolwich for long periods. I recall in the late 80’s/early 90’s the Metrobuses on the 92 had a brilliant blind - Neasden Brent Park Tesco via Great Central Way. Yes, that was all on one blind with the via bit in small font underneath the Neasden Tesco bit. I hate the vague blinds we get these days. “Woolwich”, “Harrow” and “Hammersmith” are not really that helpful. 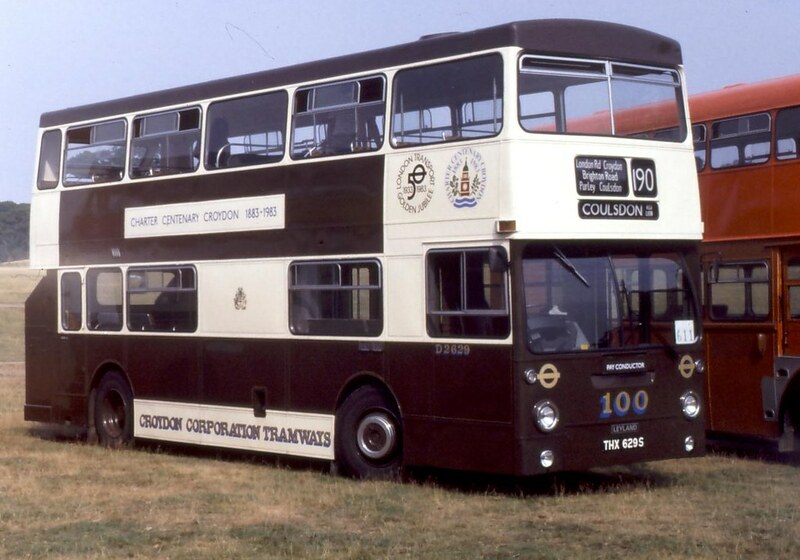 Brilliant maybe - but incredibly cramped and squashed on a Metrobus ultimate display, often not even aligned correctly, and by the time you'd made it all out and stuck your hand out, the bus would be sailing past the stop! Also displaying "Neasden" could mislead some people to think that the bus was going to Neasden town centre and not terminating nearly a mile short of there. Many routes going to Woolwich, Harrow and Hammersmith are terminating there, most passengers know where the buses terminate in these places and all they need is confirmation that the bus is actually going that far. I don't recall such blind displays being incredibly cramped and many people will be reading them whilst the bus is stationary at a bus stop. Croydon Town Centre is another ridiculous one, where in the town centre?? You assume most passengers know but I don't believe there is any evidence to support this. I know people who have used buses, particularly to Croydon, who have no clue where in the town centre buses terminate - even my mum is still not sure whether he she needs the 109 or 250 to access the bottom of the high street in Croydon and she has done it many times. No, the display was very readable and at the time it was the final terminus for the 92. The Tesco and via bit helped passengers know where in Neasden the bus went. It was really helpful actually. Over time the blind evolved to Neasden Brent Park Tesco with the extension to St Raphaels Drury Way (blinded as Neasden Tesco & Drury Way!). If you think that most passengers know where exactly in each town buses terminate, I politely suggest you should start socialising with more people who are not in the industry or enthusiasts! For occasional and infrequent users I think qualifiers are very helpful in letting passengers know where buses terminate, especially in the absence of via point blinds (I think the via points are what I will miss most about the soon to be extinct Tridents). I love the new Woolwich Market blind on the 51. The number of times I’ve been kicked off a “Woolwich” bus at that stop is unreal.